Offering you a complete choice of products which include concrete groove cutter. Backed by rich industry experience and knowledge, we are engaged in manufacturing and supplying a wide array of Concrete Groove Cutter that is broadly used at construction sites for cutting concrete at the time of building roads, bridges and other similar projects. This cutter is manufactured by utilizing premium quality components and cutting-edge technology under the surveillance of our dexterous professionals.In addition to this, clients can avail this cutter from us at an affordable price. 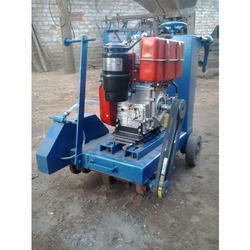 Looking for Concrete Groove Cutter ?